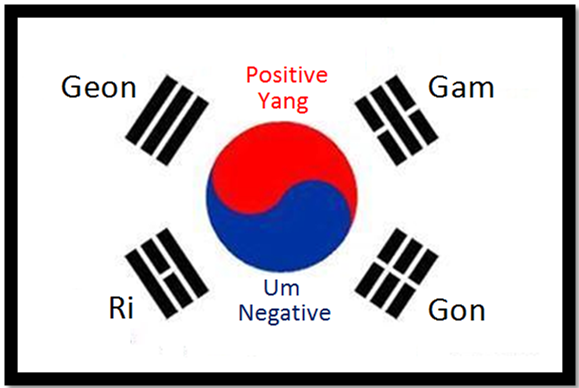 What is the meaning of the Korean flag? If you are a new white belt at Integrity Martial Arts, Mr. Frost has given you a brand new uniform (dobok) with patches for the sleeves. One of those patches is the Korean flag. Just as our American flag is full of meaning, so is the Korean flag. 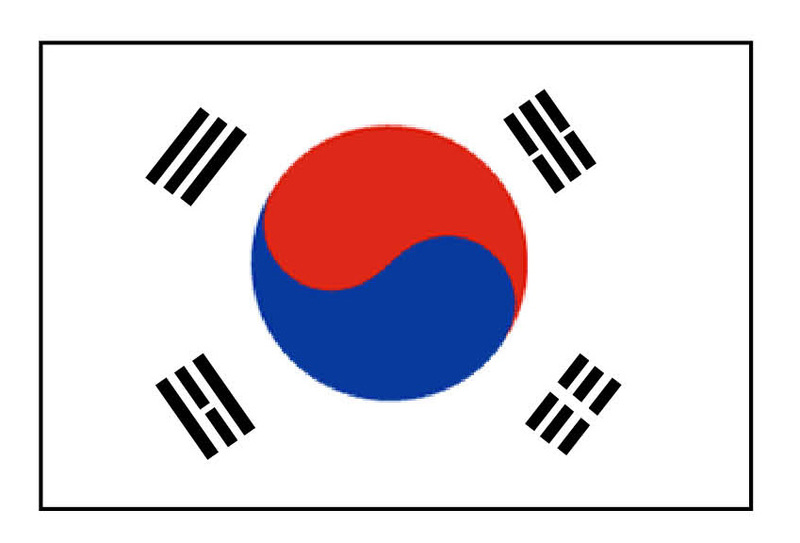 Just like our American flag, there is a theme to the Korean flag. The colors and shapes all have specific meanings. The main theme of the flag is that although there is constant movement within the sphere of infinity, there is also balance and harmony. The flag consists of three parts: a white field (or background), a red and blue circle in the center of the flag (containing a “yin-yang” like symbol), and four black trigrams surrounding the circle in each of the four corners of the flag. portion of the circle is called “yang” and represents the positive aspects. “Um-yang” is the Korean equivalent of “yin-yang”. water (upper-right) and at the other corner fire. Looking at symbols of the trigrams, you can see that they are opposites as well. Three unbroken bars (heaven) vs. three broken bars (earth), etc. Just so you can put it all together in a visual way, which is always helpful to me, below is a graphic for you to see it all put together.